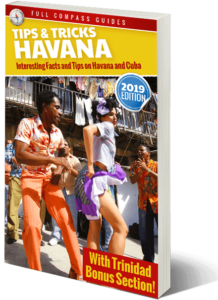 Best Cuba Guide › Forums › General › Leaving Cuba Questions – Flying back to Ft. Lauderdale via Southwest on Wed.
We are leaving Wednesday, January 23rd, day after tomorrow. How much time do we need to allow? What are the procedures to fly back to the US? Southwest comes into the terminal where all the Cubans come back in (not sure if it is 2 or 3 but it’s old, not air conditioned, etc. and it took almost two hours to get our luggage but going through customs coming in was pretty quick – maybe 25 minutes. What should we expect? Our flight leaves at 2:30 and I don’t want to miss it but don’t want to sit in hot building longer than I have to. Hi, standard protocol for airports is to arrive 3 hours before takeoff time. I can tell you that even as an experienced traveler (been to Cuba many dozens of times) I still always try to be there 3 hours before takeoff time. The checked baggage usually stops 1 hour before takeoff. But still, 1 hour is never enough to do everything. My best advice is to give it at least 2 hours. I would never take chances with a flight, because if you miss it, it’s a huge hassle. PS, I’m pretty sure there is air conditioning at the terminal. It is not luxury at all, but the terminal is not bad and should be comfortable enough. What you can do is check your bags and get your ticket but then just hang around the airport a bit, without going through customs. There are some shops in the airport and the outside esplanade. And then, an hour before, you can pass customs (which is usually very fast). This way you don’t waste an hour in the terminal. Thank you very much for such a quick answer. We feel better now – we had planned 3hrs but were not sure. And thank you for your guide! Wish I had found it sooner to have been better prepared. Definitely recommending to all our friends that are wanting to plan trips here. I am already thinking about another trip next January when we try to escape the cold. 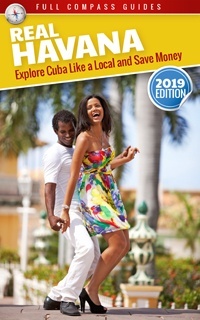 Reply To: Leaving Cuba Questions – Flying back to Ft. Lauderdale via Southwest on Wed.